Oktoberfest did not at first begin as such. The first of these annual festivals was held on October 12, 1810, as a celebration of the marriage of King Ludwig I and Princess Therese of Saxony-Hildburghausen. This beerless festival, horse races and all, was a way for the Royal Family to celebrate with the citizens of Bavaria. The tradition of Oktoberfest arose when the Royal Family decided to do it all over again the next year. Yes, the beverages at Oktoberfest are important but the food may be even better. On average there are approximately 140 food stands that serve the best of Bavaria. 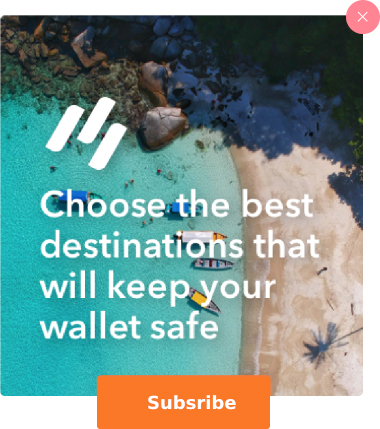 This includes, but is in no way limited to, dumplings, sausages, giant soft pretzels, candy apples and schnitzel sandwiches. According to Reader’s Digest, Oktoberfest visitors eat over 500,000 roast chickens each year. They go on to explain that, “Last year, in 17 days, 118 oxen and 53 calves were consumed.” That’s a lot of eating! 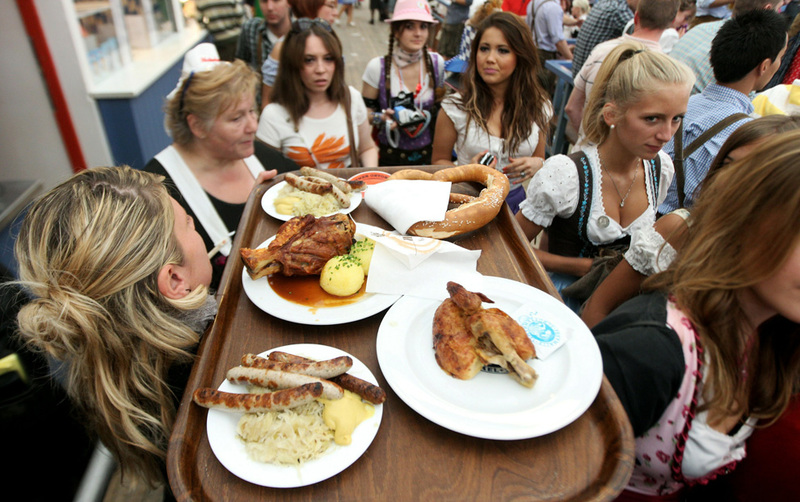 Over 6 million people attend Oktoberfest annually. 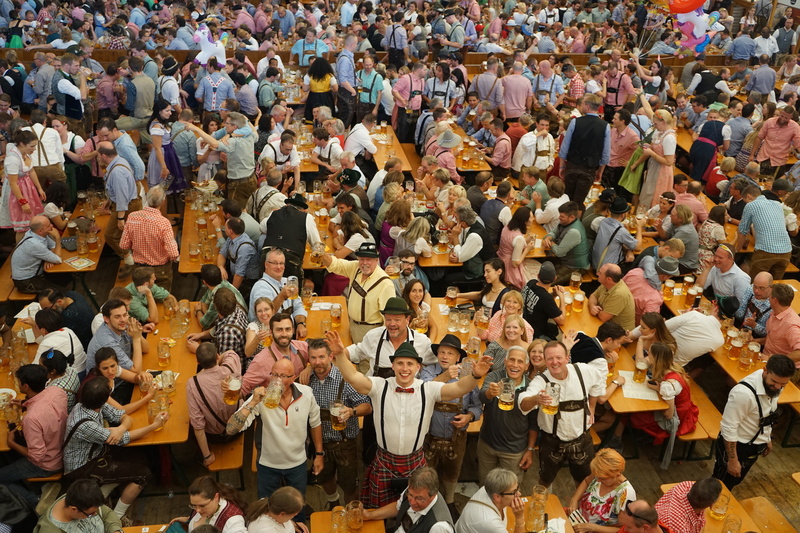 Surprisingly, 91% of the peole visiting Oktoberfest are from Germany – only 9% come from the rest of the world. What this means is you better not stand out like an ugly tourist – the Germans will know how to act. But all in all, everyone’s there for a good time and a good beer. So, get your people-watching glasses on and get ready to have some fun! With there being over 6 million people at Oktoberfest, the fish in the sea are brought to you. 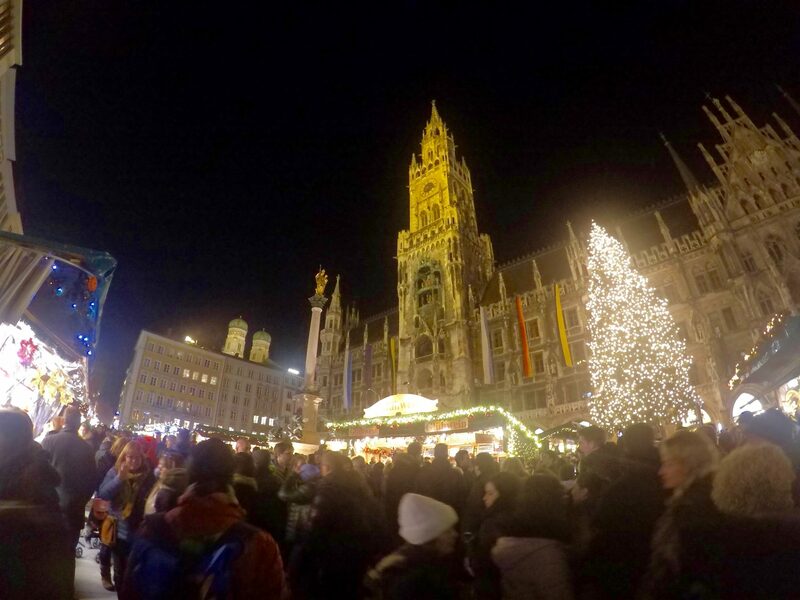 If you are interested in meeting nearby singles, you can use the “Wiesn flirt and find” app. However, if flirting with the locals isn’t for you, there is also an official Oktoberfest app as well. This app allows you to input your height and weight, in addition to how much beer you drank, to estimate your BAC and approximate how long it will take for you to sober up! Oktoberfest is a very family-friendly event. There are more than 80 rides. Some say it is almost like a giant state fair. There are traditional German musicians, and many more tents and activities to make it a family affair. There are some visitors who don’t even visit the beer tents, but just stick to the rest of the festival. Even more, if you venture outside the Oktoberfest grounds there are other Oktoberfest themed activities going on around the city. Believe it or not, Oktoberfest isn’t just for beer lovers. If you aren’t too keen on sipping liquid gold, there are alternatives. We shouldn’t tell you this, but at some of the beer tents they serve schnapps. This can be a killer liquid, and even worse if you aren’t careful with it. Stick with beer and wine. We know that we said it wasn’t all about the beer. We lied. 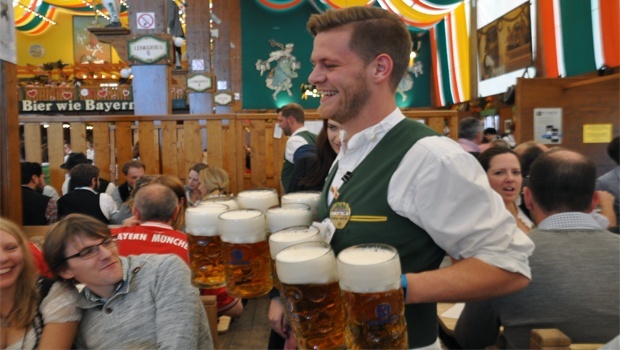 Oktoberfest has 14 large beer tents that serve Oktoberfest’s special brew concocted in Munich’s finest breweries. This special brew, believe it or not, is 1.3% stronger than your average draft. This year, one liter of liquid gold will cost you $13 – so pace yourself!